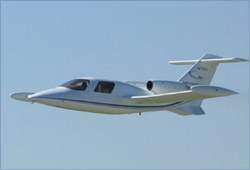 Details remain a mite contradictory at the moment, but it appears that Maverick Jets, an increasingly controversial jet SportPlane kit manufacturer with pretensions of eventually certifying a small bizjet, has laid off a significant number of its manufacturing staff -- suddenly and without warning. 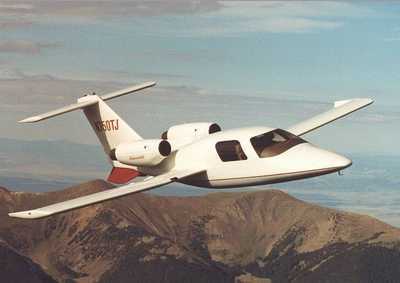 The Maverick Jet project was once the brainchild of homebuilder Bob Bornhofen, and was later taken over by McCotter (right) in a move that has since resulted in some heated litigation. 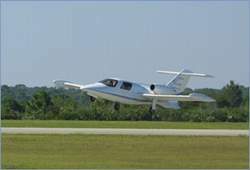 McCotter has since alienated a number of industry luminaries with questionable claims for the capabilities and utility of the twin engine Maverick SportPlane. 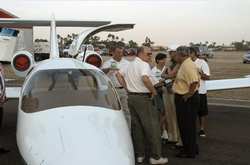 The company and its website were taken to task by ANN and EAA some months ago for claims that were determined to be outside of the FARs (especially in terms of the way that the aircraft could be purchased, built, and operated), and after ignoring the matter for many months, the company eventually starting correcting some, but not all, of its published misstatements. Surprisingly; the company actually still maintains that its "custom" jets are safer than production aircraft, and its explanation of the difference between a custom plane and production aircraft is somewhat suspect. The company has promised to certificate the aircraft at a later date, making claims that a number of industry experts found to be "overly optimistic, if not outright questionable." Others, even among the FAA, strongly question the feasibility/legality of the custom-built jets that Maverick has been offering the public... ostensibly until a certified version becomes available. ANN was present when a salesperson for Maverick, working the floor of the NBAA 2002 Convention, stated that a purchaser "did not have get their hands dirty," and that all the manufacturing would be done by Maverick's custom builders -- despite the FAA's well-known 51% rule. A fatal crash in the company prototype, in late January, was seen as a strong blow to the fledgling manufacturer. 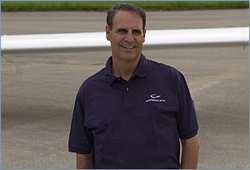 Test Pilot Jack Reed was killed while operating out of the Melbourne, FL, airport. Numerous witnesses, who were monitoring the tower frequency (at first confirmed by Maverick until another story about pilot/medical incapacitation became prominent), indicate that the aircraft was having gear problems and made a number of passes trying to diagnose the problem when it went down while turning outbound for what was to be a landing attempt. The story gets pretty muddy here in that company officials are now telling the media that the accident was the result of a medical problem on the part of the pilot... even though there is no mention of this in the current NTSB preliminary accident report, nor any other documented corroboration that we are aware of. Company spokesman, Sandy Scott, even claimed that it was "widely understood in the aviation community that the cause of the crash was due to a medical situation," and while we have heard these rumors previously, we have ONLY heard them from Maverick officials--who initially opined that since the pilot had "the flu," that he may have made a mistake as a result. ANN strongly questions the statement that accident's cause is widely understood in the aviation community. The NTSB's preliminary report also makes no mention of any medical malady, stating that, "...After takeoff the pilot reported a problem with the landing gear. He made a fly-by the tower and it was observed that one of the main landing gear was up, the nose gear and the other main gear was half way. He retracted the gear and flew by the tower again, this time he flew real low, according to some witnesses about 100 to 200 feet off the ground. The pilot notified the tower that he planned to do a gear up landing on the grass between a taxiway and runway 9R. He came around again at a low altitude and missed the intended landing area. He stayed low, a tower operator told investigators that on the last pass of the tower, they were looking down at the airplane. As the airplane passed the tower the operator looked away for a second to clear fire trucks across the runway and when he looked back at the airplane he saw smoke coming from the trees. Investigators found the left wing tip tank in a tree about 35 feet above the ground." ANN is attempting to get additional clarifications from the company... we'll be sure to clue you in when that occurs.